A day of music complimented by DJ’s, live vocalists, saxophonists, and dancers, together with Pavilion’s brunch set menu and an option to upgrade to bottomless prosecco and house wines. Click here to view our brunch menu. 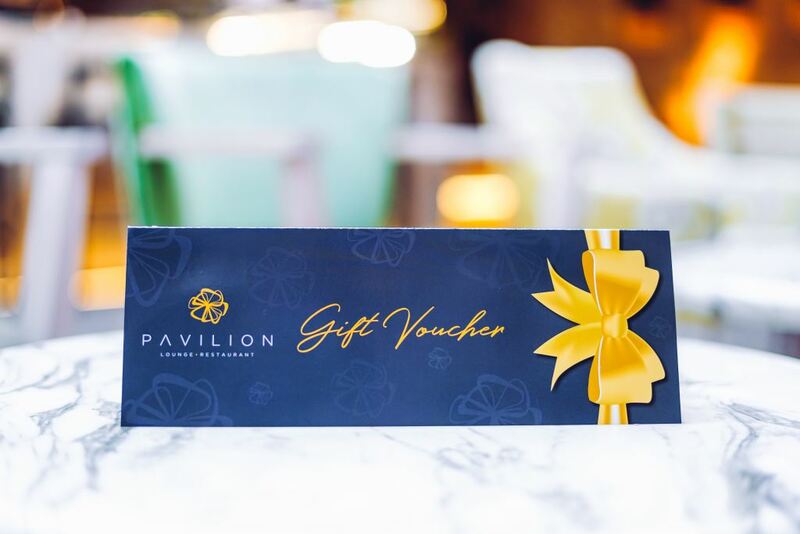 Give a gift of luxury and indulgence – Pavilion Lounge + Restaurant vouchers are now available! Gift vouchers can be purchased in denominations of £5 and are valid for one year from the date of issue. Whether it’s a gesture or a generous gift, share the joy of great food with the ones you care about! Available exclusively in the restaurant.